Visit the “Home of All Right” in Negril, Jamaica, known for the island’s laid back lifestyle, Seven Mile Beach, and some of the best nightlife in the country. This hot spot, on the island’s west coast, is common among honeymooners or those looking for a couples retreat, but isn’t shy when it comes to family vacation options or resorts where the music pumps out into the cool Caribbean night air: choose from over 20 all-inclusive resorts in this tourism region with a full range of amenities. With plenty of activities and beautiful beach views, truly experience Jamaica by soaking up the sun and enjoying the days, or watch the evening come to life with nightlife and traditional reggae music. With its hallmark clear, blue water and white sand, Negril represents all that is Jamaica in its “no problem” attitude and is a popular destination for sun-seekers year-round. Find out everything you need to know about all-inclusive Negril vacations with this one-stop shop travel guide. 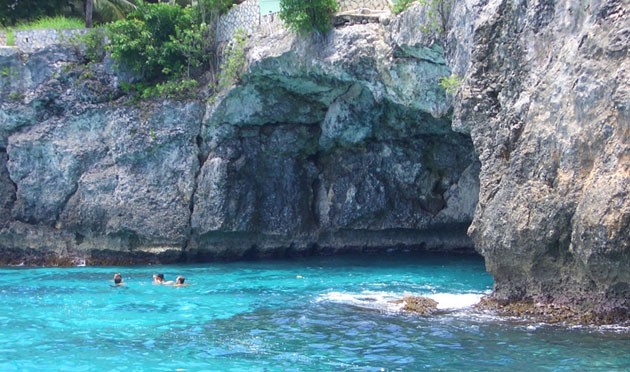 Negril is a great destination for beach-lovers looking to relax on a world-class beach, without the price tag. 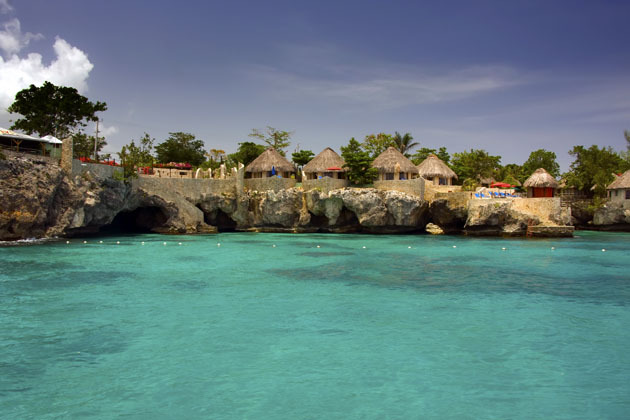 A great spot for family vacations, Negril is also a popular destination for weddings, honeymoons, and couples retreats. Offering reasonably-priced vacations, Negril and the west coast of Jamaica offer something the popular Montego Bay doesn’t: a calmer, relaxed, and laid back way of life. With a fun, up-beat Caribbean feel, Negril offers something other all-inclusive vacation destinations don’t: the culture isn’t lost to the resort life. As Negril isn’t located right in town, the area is less built-up, and a hidden gem among the competing Montego Bay and Ocho Rios vacation hubs. Make your all-inclusive vacation a Jamaican vacation on this island under the sun. English is the mother-tongue here, meaning you won’t have trouble finding your way through the area or finding your next activity. With plenty of history, beautiful people always looking to help out and have a laugh, lots of adventure, and beautiful beaches and relaxing getaways, Negril Jamaica should be on everyone’s list. One of Negril’s best attractions might be its sunsets: with all hotels facing west, you’ll wake up to stunning sunrises and end the day with beautiful sunsets over Seven Mile Beach and Bloody Bay. What they say is true: the Caribbean sun is powerful in both its heat and in the beauty that it omits over the water each morning and night. It’s worth waking up early on vacation for these views! 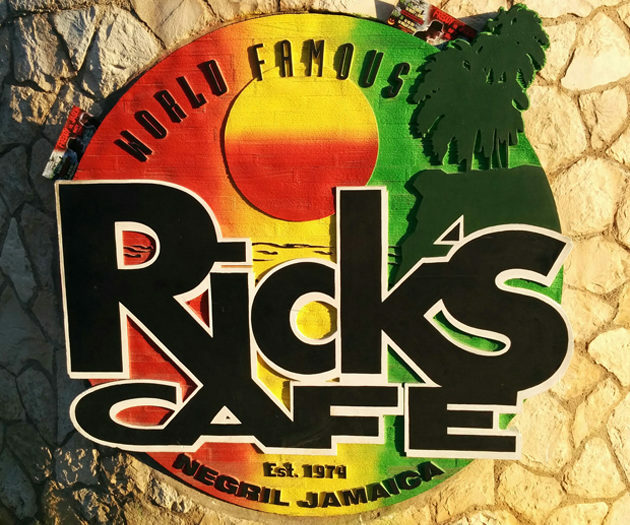 While most attractions in Jamaica are surrounding the Montego Bay and Ocho Rios areas, don’t miss the popular Rick’s Café and others on the west coast. Rick’s Café: Experience the seaside like never before at this cliff-side restaurant and bar in Negril. 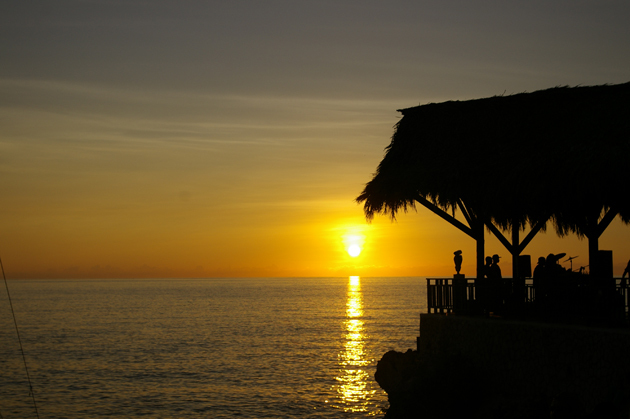 Known as Negril’s top gathering spot and watering hole, some of the best sunsets are seen from the steps and patio here, with a drink in hand. Spice up your Jamaican vacation with jerk chicken or other Jamaican menu items, and chase it with Rick’s World Famous Rum Punch (it really does have a punch to it!). Rick’s is a “must see” in the area, where locals and tourists meet and where Jamaica comes alive through its culture, music, and food. 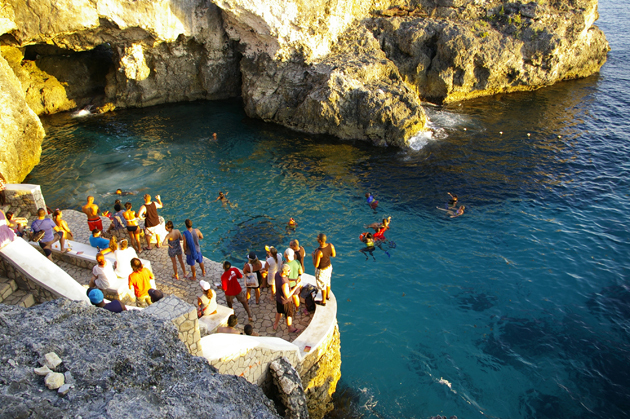 Live reggae music hangs in the background as you watch the cliff divers that take advantage of the deep waters and straight drop from the 35-foot cliff while the not-so-daring cheer on from shorter cliffs below. The water is bright green and clear, adding to the amazement that a trip to Rick’s holds. Seven Mile Beach: The white sand stretching along the coast outlining Negril is a Jamaica attraction of its own. 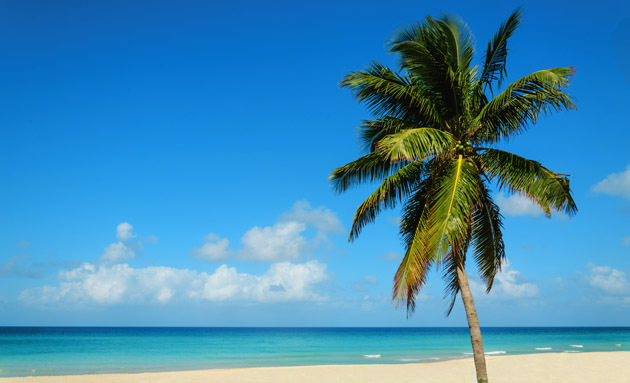 Often referred to as the best beach on the island, Seven Mile Beach is known for its colourful sunsets, clear waters, and the island culture that comes to life along the sandy shores dotted with palm trees. With a reef in the bay, Seven Mile Beach and the Negril Bay are protected and always calm: perfect for a relaxing, soothing beachfront vacation. Bloody Bay: Named for its history of whaling and tall tales of pirates, we promise it’s a prettier sight than its name suggests. Negril’s beauty seems to gather here, where calm waters meet the white sand and watersports are regularly offered. You will find some vendors along the beach here, but have ample space for romantic walks on the sand and flirtatious splashing of the warm ocean waters. Horse-back riding: Enjoy a peaceful Negril vacation with horse-back riding on long stretches of white sand beach. Go off the beaten-track and see the lush vegetation that makes Negril as vibrant as the turquoise waters that lap the sandy shores. 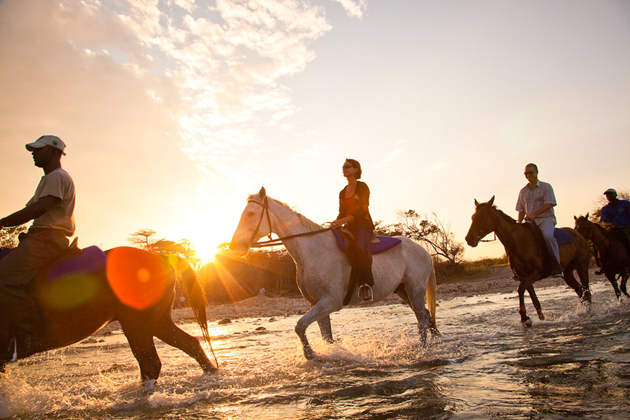 Enjoy a convenient pick-up from your resort, and travel through Jamaica’s jungle and beaches on horseback, offering a view that can’t be beat. Doctor’s Cave Beach: One of the most famous beaches in Jamaica, enjoy crystal-clear water and white sand here on calm, tranquil waters perfect for swimming. 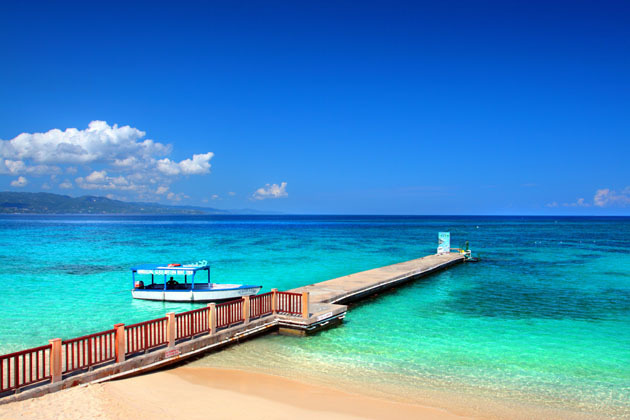 This beach, in Montego Bay, is not far from the cruise port for those visiting by sea, and an excellent attraction to visit for the sun-seeker. Mystic Mountain: Visit Ocho Rios and experience the Jamaican rainforest. Whip down the mountainside on the Jamaican bobsled ride, or cool off on top of the mountain in the Mystic Mountain waterpark with views down to Ocho Rios below. With 7 zip lines, and a ski lift to take you up the mountain: enjoy beautiful views of the ocean blue below and experience high-adrenaline fun at all heights of the mountain. 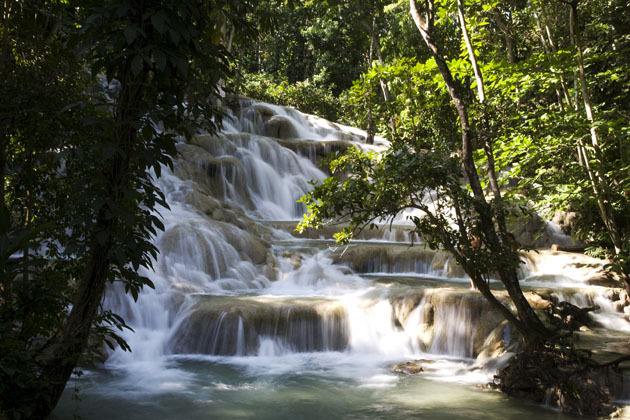 Dunn’s River Falls: One of the most popular attractions in Jamaica, Dunn’s River Falls offers something different. Climb the 600-foot waterfalls on a guided tour, and swim in the base pool to cool off. Just outside Ocho Rios, the falls offer something magical to add to your Jamaica vacation: experience the Jamaican rainforest from a different view and conquer the Jamaican waters. One of the best parts of visiting Jamaica is the food: enjoy Jamaican jerk chicken, the famed Blue Mountain coffee, or pepper shrimp. With influences from around the world, Caribbean flair and a bit of spice to boot, Jamaican food is a treat to any taste bud. Don’t come home from your Jamaica vacation without trying at least one of the Jamaican delicacies that is sure to taste better on the island than at home. TIP: If you’re visiting during early February, catch the Bob Marley festival with island-wide celebrations for Bob Marley’s birthday. Negril is a hub for reggae music and the town will be hopping, especially during this week-long celebration. With Negril all-inclusive resorts ranging from beachside to garden-view, and villas, guesthouses, and traditional hotels available, you’ll have plenty of options for an all-inclusive Negril vacation perfect to your wants. Use trip matchmaker to choose a Negril vacation that works for your budget, or choose one of our recommendations, below. Visit these 4-star resorts and celebrate your sweetheart. Known for their adults-only, romantic, and serene resorts, the Couples brand is all about celebrating you and yours. Enjoy the beautiful stretch of white-sand beach along Seven Mile Beach (Swept Away) and Bloody Bay (Negril), accommodations ranging from beach views with verandahs and balconies to intimate suites. These lush resorts are full of celebrations around each corner, for a special week away or a vacation with your honey. Relax at this 3-star, smaller-scale Negril all-inclusive resort. With just 65 rooms, relaxing hammocks, a secluded pool, and optional watersports, your Negril vacation will feature lots of sun, sand, and simple pleasures. Located directly on Seven Mile Beach, enjoy the beauty of Jamaica at the Grand Pineapple Beach. 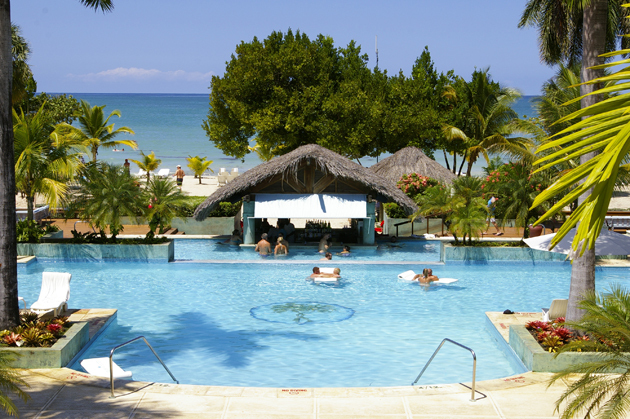 Enjoy the white sand and blue waters of Bloody Bay Beach with a stay at the Riu Negril. 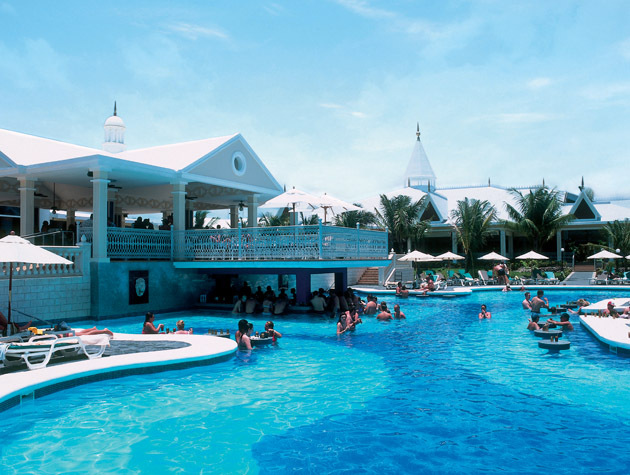 With two swimming pools, daily and nightly activities and entertainment, land and water sports, on-site spa, and children’s program, the Riu has something for everyone. Choose from 4 restaurants and 5 bars and truly enjoy Jamaica. Experience the Karisma Gourmet Inclusive program in Negril, where you’ll be treated to beautiful views of the Seven Mile Beach, and gourmet dining. Enjoy beach butlers, the children’s Nickelodeon vacation experience in the kids club, kayaking, beach volleyball, aqua aerobics, and a fitness centre, among other amenities. Choose from family suites, swim-up rooms, or deluxe rooms and make your Negril all-inclusive vacation something special. Enjoy luxury at this 5-star resort, located directly on the Seven Mile Beach. Featuring kid-friendly pools, the Beaches Pirate’s Island waterpark with water slides and soda bars, and a spa and wellness centre for mom and dad, the Beaches Negril property is an excellent option for a family vacation. Canadians love to escape the winter blues and cold weather, but Jamaica is perfect any time of the year. 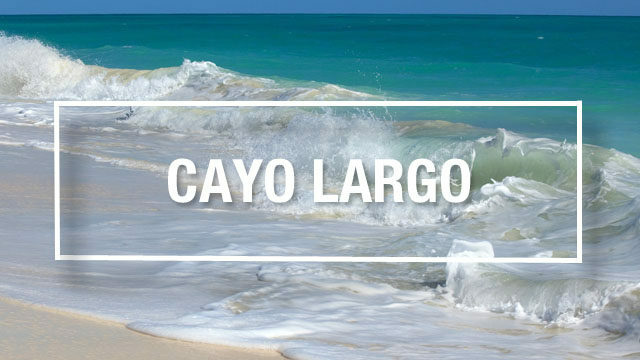 We recommend visiting for at least a week, though some sunbathers enjoy the white sand and turquoise waters for two weeks and do excursions into Ocho Rios and Montego Bay to see more of the island. With hurricane season ranging from mid-June through mid-November, you’ll find all-inclusive resorts in Negril at lower prices, but also run the risk of seeking shelter from tropical rains during your visit. High-travel times such as Christmas, New Year’s, and March Break are popular times to visit, which will also drive pricing higher and see higher traffic and crowds along the beach. Expect to see consistent temperatures in the high-20s during your Negril vacation, with temperatures reaching 30C May through October (lows of 24C), and highs of 28C (lows of 21-23C) during winter months. An all-inclusive Negril vacation is the way to go when visiting the west coast of Jamaica. Enjoy the “home all right” and don’t worry about the need for carrying cash for food and drinks, and nightly entertainment. Step into the laid-back lifestyle on this laid-back island with all-inclusive Jamaica vacations, and enjoy the countless activities offered on-resort. Travellers looking to truly indulge in the spa or those looking to take a swing at Negril Hills Golf Club, plan to bring extra cash. Most Canadians who visit Negril stay on the resort property throughout the duration of their stay, though excursions to Montego Bay and Ocho Rios, and the area’s famed attractions – like Dunn’s River Falls – are sometimes common, despite the long drive on winding highways. Negril is located on the west-coast of Jamaica, approximately 1.5 hours from Montego Bay and the Sangster International Airport (MBJ). Flights regularly fly into Montego Bay, with direct flights flying daily from Toronto with Air Canada and West Jet Vacations. 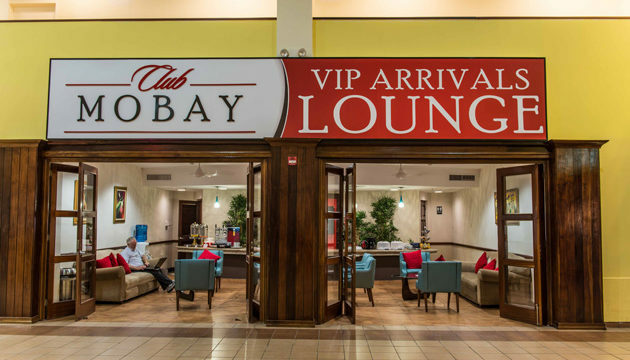 Non-stop flights run at least once a week from Montreal, while Halifax and Vancouver have daily connecting flights to Montego Bay. Sunwing runs non-stop flights on Mondays from Calgary to Montego Bay during high season. To travel between the Montego Bay airport and Negril, your tour operator (Air Canada, Transat Holidays, etc.) will provide an airport shuttle transfer. These shuttles will also see you travel from your hotel back to the airport on your departure date. Though most Canadian travellers to Negril stay on the resort, those looking to explore Jamaica have several options for getting around the island. For travel within the capital city of Kingston, enjoy air-conditioned coaches that run popular tourist routes. In other parts of the island, hop on one of the minibuses – find the bus park in each town. Another option for getting around is the “route taxi” which has designated pick-up and drop-off zones. For travellers looking to do excursions to some of the popular destinations, like Montego Bay from Negril, many resorts host excursions through local companies, travelling by bus or van. Though not necessary, renting a car is also a possibility to see more of Jamaica: renting a car for one day is approximately $60 CAD, with pickups at the Montego Bay airport. TIP: Driving in Jamaica is on the left, British-style, meaning both sides of the road and the drivers’ seats in cars are opposite from what we are used to in North America. Ranging from $684 to $2800, depending on resort and season. Low season (the summer months) tend to see prices around $684 to $1500 while the high season (winter months) sees higher prices. For a full list of all-inclusive Negril resorts that fit your budget, try trip matchmaker. Language: Jamaica’s official language is English. Currency: The Jamaican dollar is the official currency of Jamaica, though the US dollar is accepted in most tourist places. Most ATMs accept international bank cards like VISA and Mastercard. Electricity: 110V, the same as North America. 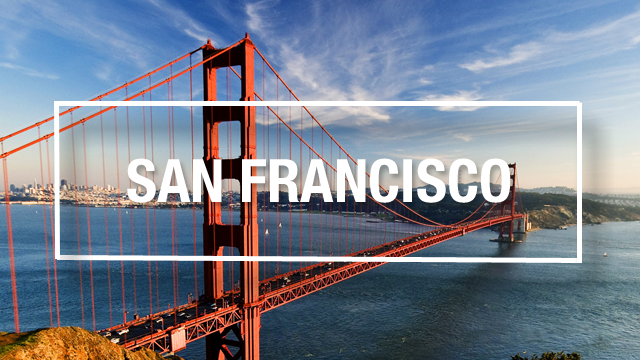 Check out our other travel guides for the destinations on your mind, and give our agents a call if you’re looking to find out more. Happy dreaming!